If your brand identity isn't capturing the customers and conversions you want, rebranding could give your business a new lease on life. 77% of consumers are likely to buy from a brand name, while 91% prefer to purchase from an authentic, honest brand. A rebrand can breathe fresh air into your company, and it can extend your reach by attracting new audiences. However, there are things you should keep an eye on while executing a rebrand, as a poorly executed one could hurt your bottom line. Here are some best practices to keep in mind. Let's start with the basics—what is a brand? 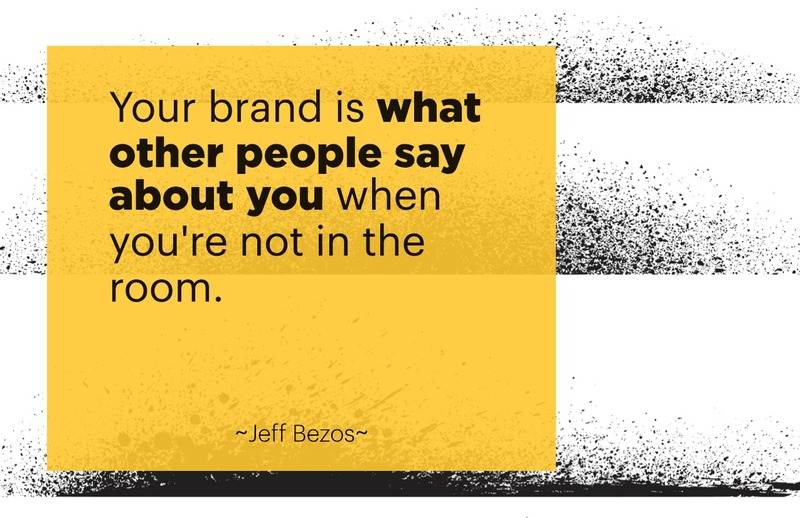 Amazon founder Jeff Bezos said, "Your brand is what other people say about you when you're not in the room." Brands are centered on the consumer: what they want, need, think and feel. A brand identity is portrayed through a company's name, logo, tagline, services & products, advertisements, marketing campaigns and more. It follows, then, that rebranding means reevaluating that identity and updating visuals to fit the wants & needs of your target audience in order to capture customers and improve sales. How do you know when it's time to rebrand? Here are a couple of questions that might help you decide. If the answer to one or more of these is yes, the time is now. Is your business image outdated? Just because you've been in the game a long time doesn't mean your brand will automatically be interesting to new audiences. You need to think about whether the brand's image is still relevant. If your target audience is Gen Z, research how your brand is currently perceived and what you can do to improve that perception. Old Spice is a great example of a brand that reinvented itself despite its rich history in order to appeal to younger audiences. Its promotional videos with Isaiah Mustafa and Terry Crews brought new life to the brand, captured a fresh demographic, and increased sales. Do you want to reach new demographics? Rebranding is an excellent way to attract new audiences from demographics you might not have focused on before. The digital age makes this easier to achieve. A refreshed brand identity can inform a strong social media strategy, which is a low-cost way to boost brand awareness. According to SproutSocial, 83% of women and 75% of men use Facebook regularly, while one-third of users regularly engage with brands. A cohesive rebrand combined with strategic social media targeting can bring in new fans. Are you in sync with the latest market trends? Considering how almost every business depends on market trends, you should be aware of them and adjust your brand when necessary. This doesn't mean you should blindly follow the trend any time a new design element becomes popular. But, it is important to keep your brand modern, versatile and timeless. CoverGirl recently rebranded with a modern, minimal visual identity. Their designs incorporate a sans-serif font, plenty of white space, and relevant messaging. While it is riding a design trend (minimalism), the concept is classic and can remain relevant for many years to come. The brand design is versatile and used effectively in the logo, packaging and video advertisements. Consistency is crucial, as 75% of consumers want a consistent brand experience across every platform. Have you already achieved old goals? Rebranding might be necessary if your business was focused on a singular goal that it has now achieved. This will help fuel future growth in a new direction. Donal Daly, CEO of Altify, explained this need for change on his blog. Originally, his company found success by helping other companies' sales teams. However, once Altify reached its goal, the company expanded its services, offering business consultation and assistance in areas outside of sales. Rebranding the company gave them a way to showcase that transition visually. Once you've decided to rebrand your business, it's time to take a look at some of the elements you can change and what benefits they bring. We'll also warn you about the possible dangers of rebranding and how to avoid them. Name is the first and most recognizable brand element. 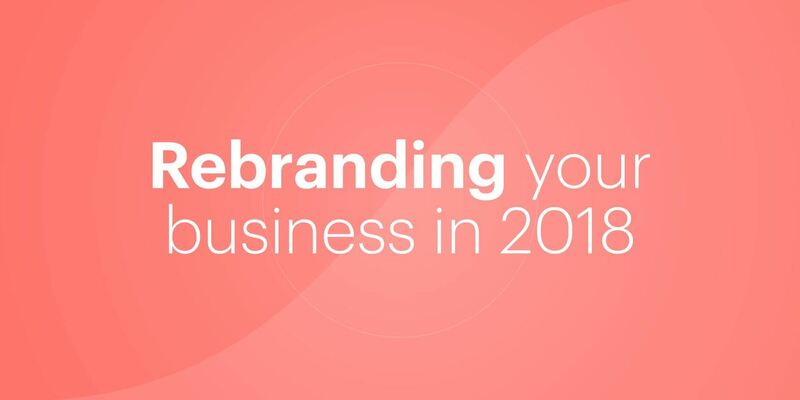 Rebranding doesn't always involve a name change, but it can be a powerful strategy—especially if the company is looking for a fresh start. Did you know that the infamous Philip Morris company changed its name to Altria to disassociate itself from bad press and controversy? Considering how a number of journalists reported on the obvious change, it's hard to say whether it was successful, but only time will tell. One more thing to consider is the possibility of alienating or losing older clients with a name change. A fresh start is a double-edged sword, so make sure you're ready to give up your established legacy in favor of a new brand identity. Read more about picking a great brand name here. Slogans & taglines often go hand-in-hand with a brand's name. Usually, a tagline is a catchy sentence that summarizes your business and is easy to remember. If you decide to change your name, you should do the same with your tagline—especially if the business has changed. Over the years, FedEx has had several long and unmemorable taglines, so it changed to "Relax, It's FedEx" in 2004 and "The World on Time" in 2009, both of which are simple and effective. Read more about crafting great taglines here. Since people are visual thinkers, rebranding is rarely acknowledged without a logo change. Why is it good, or even necessary, to change your logo design? Simply put, it's the easiest way to demonstrate change to your audience. As for the logo design, you have to follow (and subvert) trends if you want to appear fresh. But, be careful with it. You don't want to drift too far away from the original logo unless you're trying to conceal your past. You want people to acknowledge the change but also recognize the company's continuity. Pepsi is a great example of a brand that's updated its logo over the years in a way that always preserves its trademark colors and shapes. Read more about logo design here. Finally, we come down to the content. A new name and visual identity mean nothing if you haven't changed something about the way you do business. [Click to tweet ] It could be new services, new strategies, a new vision, etc. But before you implement any changes, research the market and find out exactly where you want to land. These findings should influence your content, helping your brand expand its horizons and break new ground. Read more about super-charging your brand with content here. In the end, keep one thing in mind: A brand that doesn't change is destined to fail. You need to ask yourself periodically whether the brand is still relevant or has something new to offer. Sometimes, even a small change can make all the difference in public perception. Natasha Lane is a content writer for DesignRush, specializing in logo design, insights & trends. You can connect with Natasha on LinkedIn.